So things have been quiet (understatement of the year) on Counter Pretty recently, and that's been mainly to do with me finishing the last long slog of my law degree. So now the graduation caps have landed and it's all over, it seemed fitting for me to do a lifestyle post about my experience the past few years. The long and short of it is that university has been both the best and worst years of my life all in one. My degree has been one of the hardest things that I've ever done, but along the way I've made the best friends who will (hopefully) stay with me the rest of my life and learnt so much more than I expected. University studying isn't really a walk in the park. It's much less intensive than A-levels but it involves learning how to think differently and not just regurgitating information. If you're looking at going to uni please make sure you really look into the course. My one biggest regret about uni is that I didn't research what my course would involve and I ended up absolutely despising most of my modules. I also ended up in the position where I'm going to work in an industry that's absolutely nothing to do with my degree - which is fine although something I wish I'd considered 3 years ago! The first thing I need to point out is that Freshers Week was not the best week of my life like everyone told me in the weeks before I moved away. It was terrifying, lonely and exhausting albeit loads of fun. If anything, the first year of university was probably the most difficult year I've had so far, I was thankful that in 2nd and 3rd year I made so many valuable friends to help me through. But the social element of uni is something that I'll miss more than anything. I already miss living about 2 minutes away from all of my friends and spending many an afternoon in our favourite pub. The best part of my social life was by far the societies, from dressing up every night for Sports Night with the dance society and being on the committee for Cocktail Society (yes, it's a real thing and yes, it's a ton of fun) it was great being able to spend so much time being active with people with the same interests and if you ever get lonely at uni the best advice I would give is to get out there. Living alone is a whole different kettle of fish to living with your parents no matter how independent you were living at home. As someone who did their fair share of cooking and cleaning I thought I was all set to move into my own space (even though it was only halls) however it still came as a bit of a culture shock. Going grocery/food shopping was probably the biggest struggle (especially the first time) and as much as it's hard to stick to I really recommend making a weekly schedule of meals so you don't end up buying stuff and not using it. Also learn to cook! At least basic things like a pasta sauce or a quick curry - your body will appreciate some decent food and it saves you the awkward Googling/ringing mum from your kitchen. Bills are complicated when it comes to student houses, so make sure you're living with people you trust and think about how you divide up the responsibilities (we found it easiest to make a group bank account for the house to take money out of for bills/house supplies like toilet roll). 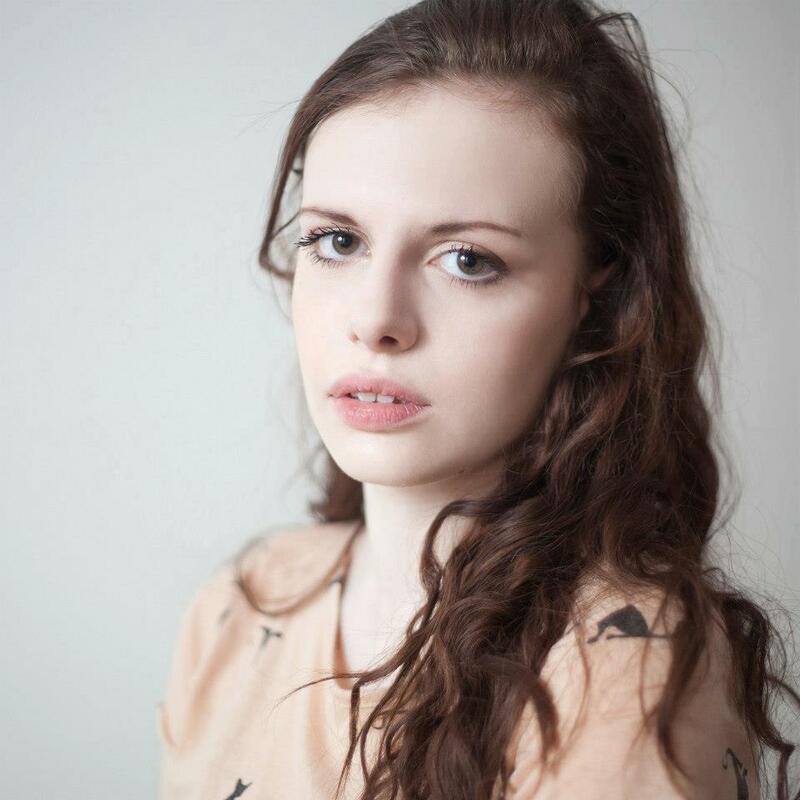 If you're thinking of going to university I hope this article is at least semi-helpful! And for those of you reading this and still muddling through, keep at it because throwing that cap on graduation day is all worth it! On a very serious note - if you're at uni and end up struggling (money, mental health, physical health, whatever it may be) please go and get help and talk to someone. Universities have loads of procedures in place to help you with your studies when things are going a bit pear-shaped. Around 1 in 3 students report suffering from mental health problems while at university so you're really not alone and it's important that you get the help you need. So I guess this is it! I'm excited (and scared...and sad) to be moving to Leicester and starting my life as a 'real adult'. 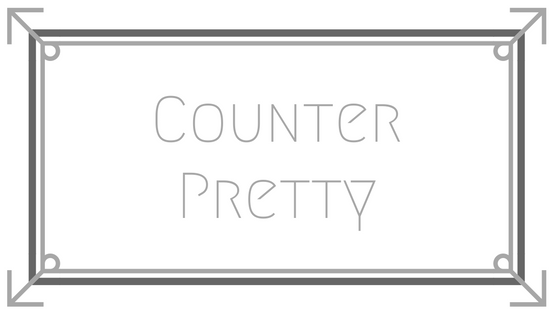 Exciting times ahead for Counter Pretty! 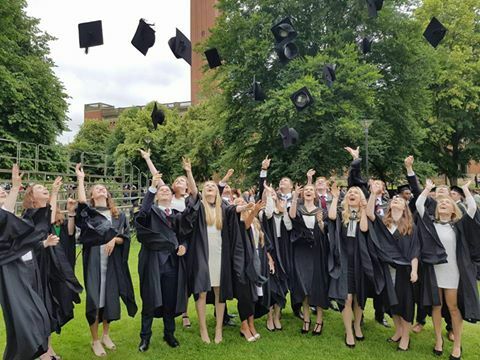 I definitely agree that uni is a different type of learning - A-Levels were definitely the toughest thing I'd done (until now and professional qualifications!) but didn't require you to think for yourself as much as uni. I didn't like 1st year that much either - I loved 2nd and really liked 3rd though :) Great post - I can relate to it a lot!